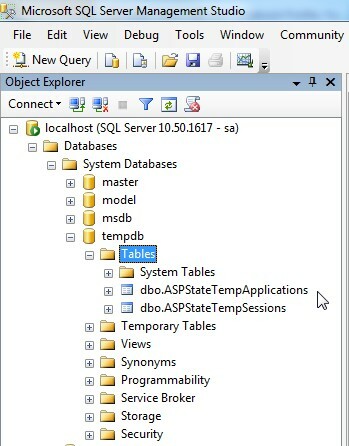 Home SQL Server Where Are ASPStateTempApplications and ASPStateTempSessions Tables? 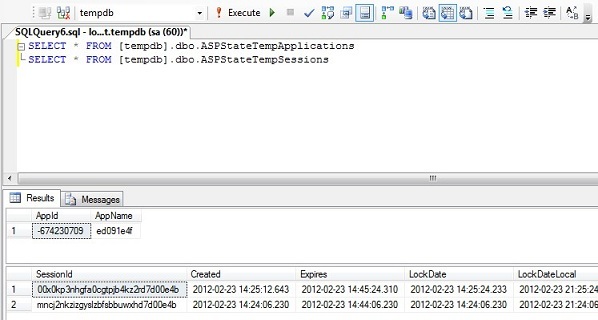 ASPStateTempApplications and ASPStateTempSessions tables are in the TempDB database and are created when you configure SQL Server to Store ASP.NET Session State by running the InstallSqlState.sql script. SqlSessionStateStore stores session data in the ASPStateTempSessions table of the session state database. Each record in ASPStateTempSessions holds the serialized session state for one session, and the auxiliary data that accompanies that session. 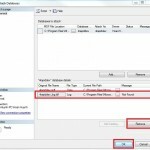 I use those tables in order to verify whether ASP.NET sessions are stored in SQL Server session state database.